TOBIN & Associates, headquartered for nearly a decade in New York City, operates from offices in San Rafael, located 10 miles north of San Francisco in Marin County. Since its inception, TOBIN & Associates has maintained a business philosophy of working for a limited number of clients at any one time and providing a clear transition path for clients to create or enhance in-house expertise. 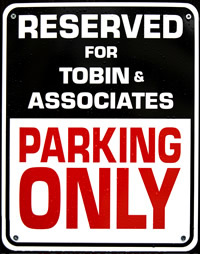 Tobin’s personal business history includes senior corporate communications positions with major global corporations, including Heublein Inc. (California wine unit); MCI Communications (as corporate spokesperson); American Express (head of North American public relations) and First Data Corp (SVP of Corporate Communications). He began his career as a journalist with the Palo Alto (CA) Times and later at the San Francisco Chronicle. He maintains affiliate relationships with associates in New York and London.